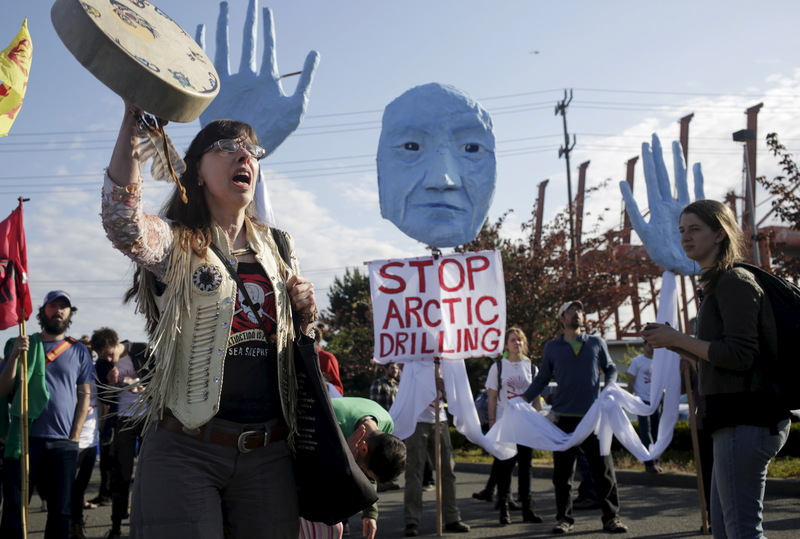 Five environmental groups filed a lawsuit in federal court Monday attempting to prevent oil companies from drilling in Arctic waters near Alaska. The groups are challenging the plan in the 9th Circuit Court of Appeals for allegedly violating federal laws and disproportionately contributing to climate change and endangering wildlife. “In a rush to drill for oil in Alaska’s pristine Arctic coastlines, Donald Trump is flouting the law and endangering some of the most delicate coastlines in the world,” Marcie Keever, legal director at Friends of the Earth, said in a statement. Hilcorp Alaska proposed building a nine-acre gravel island in the Beaufort Sea that could be the first-ever oil and gas production facility built in U.S.-controlled Arctic waters. The artificial island, called the Liberty Project, would support a drilling rig and other infrastructure and would connect to mainland Alaska through a 5.6 mile underwater pipeline. Alaska’s Congressional delegation has fought to get the Liberty project approved for several years. Alaska’s GOP lawmakers, Sens. Lisa Murkowski and Dan Sullivan as well as Rep. Don Young, have insisted opening the Beaufort Sea and other areas around Alaska to oil and gas development be a top priority for the Trump administration’s energy policy in Alaska. The Bureau of Ocean Energy Management did not immediately respond to a request for comment.